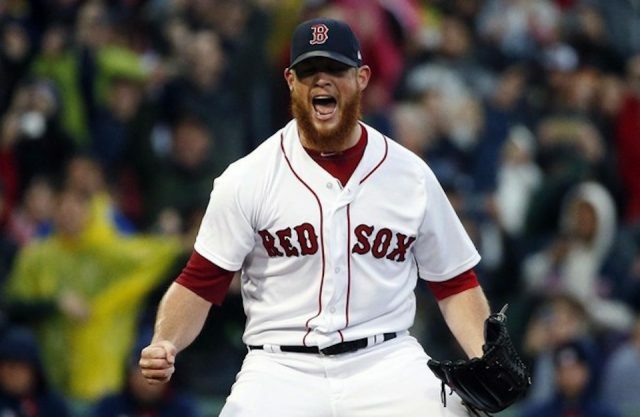 Red Sox closer Craig Kimbrel is reportedly searching for a six-year contract this offseason, per ESPN’s Buster Olney. Kimbrel was spectacular for the Red Sox in his three years with the team. This past season, Kimbrel put up a 2.74 ERA and converted 42-47 save opportunities. In 62.1 innings pitched, Kimbrel gave up only 31 hits and 19 runs while posting a .995 WHIP. While Kimbrel was lights out for the Red Sox, he did have his share of small issues towards the end of the season, particularly in non-save opportunities. In the 2018 postseason, Kimbrel gave up seven earned runs and eight walks in just 10.2 innings. Granted, he did not receive a loss in any of the nine games he pitched in and got six saves throughout the postseason. Kimbrel’s ideal contract is not far off from past noteworthy free agent relievers. Before the 2017 season, Aroldis Chapman received a five-year, $86-million offer from the New York Yankees and the Los Angeles Dodgers gave Kenley Jansen $80 million for five years. Should the Red Sox not give Kimbrel an offer, it appears that re-signing Joe Kelly—4-2, 4.39 ERA—would be a smart option. Kelly could be slotted as a reliever or as the team’s new closer. The Red Sox could also consider signing Andrew Miller—2-4, 4.24 ERA—as their new closer. One comment on "Kimbrel Seeking Long-Term Deal"